Steven J Butala: Steve and Jill here. 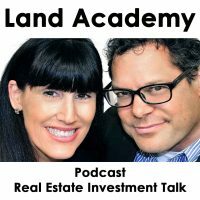 Steven J Butala: Welcome to the Land Academy Show, entertaining land investment talk. I’m Steven Jack Butala. Jill DeWit: And, I am Jill DeWit. Broadcasting from sunny Southern California. Steven J Butala: Sultry Jill DeWit today. 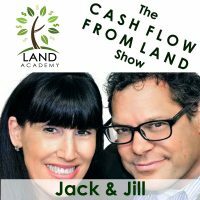 Today Jill and I talk about the topic, 90 days with a rehaber versus a wholesaler. Steven J Butala: Not me. They wouldn’t be chasing me. Jill DeWit: Oh. That’s so funny. Steven J Butala: They would be wondering why that person has such an overinflated concept of themselves that they have to have a vanity license plate. In fact, you know what? That’s my concept on vanity license plates at all. Steven J Butala: I don’t care if you’re the best looking person on the planet. Male or female or whatever. Jill DeWit: I used to have one. Actually, a couple times. Steven J Butala: I don’t understand these vanity plates. It’s a license plate. Jill DeWit: I’ve had them. I know. I’ve had them. I don’t have it anymore. I’m under the radar now, but I have had them and it was kind of fun. My favorite was the one time I got a speeding ticket, because I was racing up to catch up to a vanity license plate, because I was trying to figure out what it was. How awful is that? Steven J Butala: How old were you? Jill DeWit: I was old enough to know don’t get a ticket speeding up to read a vanity plate. That was dumb. Steven J Butala: I have a lot of questions, Jill. Certain stuff. Steven J Butala: Did you catch up? Jill DeWit: Well, yeah. I caught up and the cop caught up to me. Steven J Butala: What did it say? Jill DeWit: I don’t even remember now. Whatever it was, it wasn’t that good. Steven J Butala: So, it wasn’t worth it? Jill DeWit: Nope. It was not worth it. I can’t believe I did that. Steven J Butala: It’s funny. You’re with somebody for decades and you don’t know stuff. You just learn something, especially on a show. Jill DeWit: Yeah. It’s not my finest moment. Steven J Butala: Before the end of this show I’ll think of some stuff that I’ve done that’s just silly ridiculous like that. Jill DeWit: Good. It’ll make me feel better. I like that. Steven J Butala: Before we get into the topic, let’s take a question posted by one of our members on the LandInvestors.com online community. It’s free. You want to go or you want me to go? Steven J Butala: I’d love you to go, because that’s your end of this. Jill DeWit: Yeah. I think honestly, Abby if it’s priced right there’s a sweet spot. I know you. I know you’re in our world and if you’re doing everywhere like we say everywhere … Meaning everywhere. Like, you’re including social media, you’ve got it on all the best sites, you threw it out. Maybe even have it on Ebay? Who knows? You have other inventory. I mean, your online presence looks good. It all ties together. You can expect it to go fast if it’s like, let’s just say 15 to 20 thousand and below. Those people have the money readily available. Use it often, don’t have to move it around. A $5000.00 property I can put on a credit card and take care of it later kind of thing if I fall in love with your property. I’ll do it that fast. Some people will do I that fast. When it’s a 50, 75, 100, 150, and above thousand dollar property, then it might take a couple days. But, still it just depends on the person. If you’re reaching and it’s priced right it’s traditionally gonna go fast. I’m curious what our latest people in there have said too. Steven J Butala: I see a lot of people making this mistake and quite frankly we once in a while make this mistake. Post it everywhere and forget it. Move on. Jill DeWit: … analyze it. Steven J Butala: No. Hold on. Steven J Butala: Posting everywhere and forgetting it is the wrong thing to do, especially if you’re brand new. You need to sell a property. Steven J Butala: You need to go and post it on your social media, you need to celebrate the fact that you got this unbelievable deal. You need to actively go onto Facebook, put it in every real estate group. Go onto Bigger Pockets. Maybe get a Bigger Pockets Pro and actively sell a piece of property? Jill and I did a deal in the middle of last year … She did it to prove a point. It was a wholesale house in the heart of Scottsdale. Like Old Town Scottsdale and we bought it for a great price. Jill DeWit: It was fast. That’s true. Steven J Butala: … three working days. That’s all she did and she sold the house. Steven J Butala: She sold it at the end of that period for our asking price. That’s what this takes. Jill DeWit: It’s true. I showed up there, did the open house, got some excitement, and that was it. Steven J Butala: We have a retirement property in our … A property in our retirement community that we’ve had on the market now for past 30 days. It’s in a different market in Arizona, off the same mailer. It’s a house and we’re asking a lot. It’s not a wholesale deal. We went in there and just kind of replaced carpet in a couple rooms and dusted off everything. But, she hasn’t done that yet. If she did it would be sold. Three of them will sell really fast, because they’re good deals and 10 of them will take … I don’t know. 14 days. But, the rest it doesn’t matter. It doesn’t cost to get the listing and sign it. You don’t have to do anything. Steven J Butala: You don’t have to do anything at all except … Well, you really have to do nothing. Just wait. See which ones sell, you’ll do fine. Just get a lot of listings. Steven J Butala: Nevermind the people at the end of that thing where you convinced them to list their property for way more than it’s worth. It’s just you have to go out there and sell your property, but you don’t have to do that on the buy side. That’s the beautiful thing of the mail. Send it all out and it comes back. Jill DeWit: Right. I just love your thoughts. I was just thinking, “Imagine if you were a real estate agent, and you’re out there really telling the truth, and you’re really … ” Seriously. Steven J Butala: Imagine if real estate agents told the truth. Jill DeWit: Hold on. Let me finish my thoughts. This is the thing, this is the kind of person that I would be and I wish everybody was. Jill DeWit: Oh. It’s a third one. Okay. I just gave them two. Jill DeWit: Actually, that would be the best. Steven J Butala: “Your husband’s so handsome.” Even though he looks like a troll. Steven J Butala: And so, it ends up being overpriced and the seller has unrealistic expectations, but they feel all good about themselves. That’s what matters. Steven J Butala: That’s why those deals fail. Yeah. Six months later when the listing’s expired and everybody’s screaming at each other … No. There’s no more screaming now, because the real estate agents stopped taking your call. Steven J Butala: They just stopped talking to you at all and the listing just went … This is what happens. Jill DeWit: No. This just happened. Jill DeWit: Hold on a moment. Steven J Butala: If you’re not in the real estate market this is stuff that really happens. Like it’s 1952. Its never been improved. Jill DeWit: It’s true. I know. I was just saying, I feel like I was just talking to somebody about this, because I know someone personally going through this right now and the real estate went dark. They’d love to fire them, but they went dark and it’s going on a year now. Jill DeWit: Anyway, let’s get to the show. Steven J Butala: Today’s topic … Did we already do that? Steven J Butala: Today’s topic … Sorry. Today cracked me up. Jill DeWit: I got to keep you on track, man. Steven J Butala: Today’s topic, 90 days with a rehaber versus a wholesaler. This is the meat of the show. Jill DeWit: Can I go first? Steven J Butala: Yes. Please. Jill DeWit: Okay. I started a couple days ago talking about 45 days. What I thought I could do with 45 days doing my job, versus 45 days as a rehaber. I’ve done this, by the way. Now you just upped it to 90 days for me. I’m like, “Oh. This is even better.” Let me paint some pictures for you. Let’s just say it’s 200 thousand dollars I’ve got to play with in 90 days. As a wholesaler sitting in my office, offers are coming in, can you imagine what I could do? Steven J Butala: Yeah. It’s what happens to us every day. Steven J Butala: This is a great topic. Jill DeWit: This is my … Hold onto your hat. I’ve got 90 days and 200 thousand dollars to play with? I could make a million out of that. Steven J Butala: I was just gonna say the same thing and we do that. Jill DeWit: Exactly. Now, let me give you the flip side. I don’t care if you’re the best rehaber on the planet. All right? Let’s say you are the best rehaber on the planet and you got 200 thousand dollars to work with again. You’re lucky if you make 50 thousand dollars. I’m not sure you could even do that. I mean, let’s just even say you’re the best rehaber on the planet, you got 90 days, and you’re doing a deal a month. All right? You might even … Let’s say you make 50 thousand dollars on three deals. Well, hold on a moment. Steven J Butala: Which never happens, but go ahead. Jill DeWit: Exactly. To do those three deals, by the way you can’t spread out 200 thousand dollars. You needed 600 thousand dollars to do those three deals in your 90 days … Is this math making sense to you? Steven J Butala: There’s no better way I could describe this. Jill DeWit: Thank you. Great. I had to have 600 thousand dollars going into it, not counting what work I put into it by the way to make 150 thousand dollars in 90 days. That doesn’t make sense. Jill DeWit: A permit delay. Steven J Butala: … all kinds of fantastic things that happen, not in a good way that you have to address. Jill DeWit: Appliances are stolen. Steven J Butala: … you make half of what you actually could make rehabbing land or just wholesaling land or even houses. Steven J Butala: That’s just apples to apples if you’re just gonna wholesale a house and make 100 thousand bucks a house you can easily wholesale 10 houses and make 100 thousand dollars a house in an average market in six months or even 90 days. You just gotta keep it rolling. Jill DeWit: Do you know what I think? I personally think one of the best things that could’ve happened to us, Steven is HDTV. What it has done is told the planet that, “You can do this. Don’t you want to swing a hammer? Don’t you want to be the next Flip or Flop?” Or something like that. Everybody thinks they want to do that and you know what that is for me? So many customers, I can’t keep track. It’s really the greatest thing. I can sit and flip … I’ll find it, flip it to them, they’re thrilled, they run with it. They don’t make as much money as I do, they don’t know that, and they’re happy, and I’m happy. I think it’s the greatest thing. Steven J Butala: It’s my nightmare. Steven J Butala: Yep. There’s no system. Steven J Butala: You can’t systematize rehabbing a house. You think you can in the beginning. After about four or five deals you realize you don’t have any idea. Every single project’s completely different. Steven J Butala: … [Shay] Brothers or Toll Brothers do so well. Because they buy a huge piece of property, they do the entitlements on it, put the infrastructure in, and they build model homes. They build them after they sell them and they could put up 92 homes if they have the labor and the materials lined up in 30 days. Steven J Butala: They’re not gonna rehab anything. Steven J Butala: Have you ever heard of a publicly traded company that rehabs houses? There aren’t any. Steven J Butala: There aren’t any, because you can’t scale it and it’s not profitable. Steven J Butala: You think Wall Street would get ahold of this and do something about it if it was profitable? Steven J Butala: You know what Wall Street has? Funds that buy undervalued property through companies like us and the hold it and wait, because they predict that it’s gonna have a better return than let’s say mutual fund would or a Wall Street type fund or an index. Let’s just say, annually. And then, they sell it. Sometimes they try to rent it, sometimes they just sit there and hold it. You drive around, there’s a lot of vacant houses around and a lot of this stuff is held by huge real estate funds, but they’re not rehabbing anything. Jill DeWit: No. Boy, you’re right. That should tell you right there. If the whole new Toll Brothers or Shay Homes or whatever it was is now changing their business to rehabbing we would look at that. But, there’s a reason why they’re not. Jill DeWit: Wow. Brilliant. Thank you, Steven. Steven J Butala: I just thought of that. Jill DeWit: You’re so smart. That was good. Steven J Butala: I’m really not that smart, I just really follow through and that’s the truth. Steven J Butala: It’s all follow through. Jill DeWit: … but I’m here to tell you, you come up with some really good ideas. You have some really good ideas. Steven J Butala: Which would be completely useless if we didn’t follow through on them together. Jill DeWit: Good point. Good point. Steven J Butala: I think stuff that could work. Yeah. Steven J Butala: Well, I’ve done it again. Spent another 15 minutes or so listening to the Land Academy Show. Join us next time for Finance Friday with me Steven. Jill DeWit: And me, and Justin. We answer your questions posted on our online community, LndInvestors.com. It is free. Steven J Butala: You are not alone in your real estate ambition. Jill DeWit: I am glad that you followed through on Land Academy. Steven J Butala: I am to. Jill DeWit: And, you’re about to follow through on House Academy. Steven J Butala: I am. Jill DeWit: Those are huge. Steven J Butala: I’m glad that you forced me to do it, because I wasn’t going to. Remember that? Jill DeWit: Oh. I do remember that. It was a good decision. Steven J Butala: If you love Land Academy you have Jill to thank, not me. That’s the truth. Jill DeWit: Wow. Thank you very much. Steven J Butala: It’s the truth. Jill DeWit: Well, before I start crying wherever you’re watching and wherever you’re listing, please rate us there. We are Steve and Jill. Steven J Butala: We are Steve and Jill. Information. Steven J Butala: To buy undervalued property.